Writing content can be one of the most time-consuming marketing tactics, but it’s just a small part of an effective content marketing strategy. In fact, it’s a common position that marketers should spend more time on content promotion over writing. Some even shoot for a lot more: Derek Halpern uses an 80/20 model for content promotion, with 80% of his time spent promoting the content he writes. If that makes you feel ashamed about your approach to content marketing, don’t let it bother you. A lot of marketers fall short of that. That’s why, despite more than 80% of marketers using content marketing, only about 1/3 of them find it to be effective. You have to promote what you produce to see results, and not just a little. You need to push hard. Ready to start putting up big traffic and share numbers? I’ve pulled together 30 of the most effective, must-do content promotion tactics that you should be using when you publish new content. When sites are looking to build out their list of weekly roundups, they’re typically using tools like Buzzsumo or major aggregator sites like AllTop to find what’s popular at any given time. But that doesn’t mean they’re not open to solicitation. If you’ve recently created a high value 10x piece of content, reach out to the relevant sites that often post roundups in the manner and ask for yours to be considered for inclusion. Find the best ones by doing searches on social media using keywords related to your niche and “roundup.” Send a personalized outreach email (don’t copy and paste) that compliments their blog, roundups, and includes a link to your content with a clear ask to be considered for inclusion. There’s likely to be overlap in topics and relevancy when you’re producing content, and you can leverage that to help promote your newest content. Check your analytics to keep tabs on your best performing content and the topics. When you’ve written a new piece you want to promote, find an older piece of content that relates. 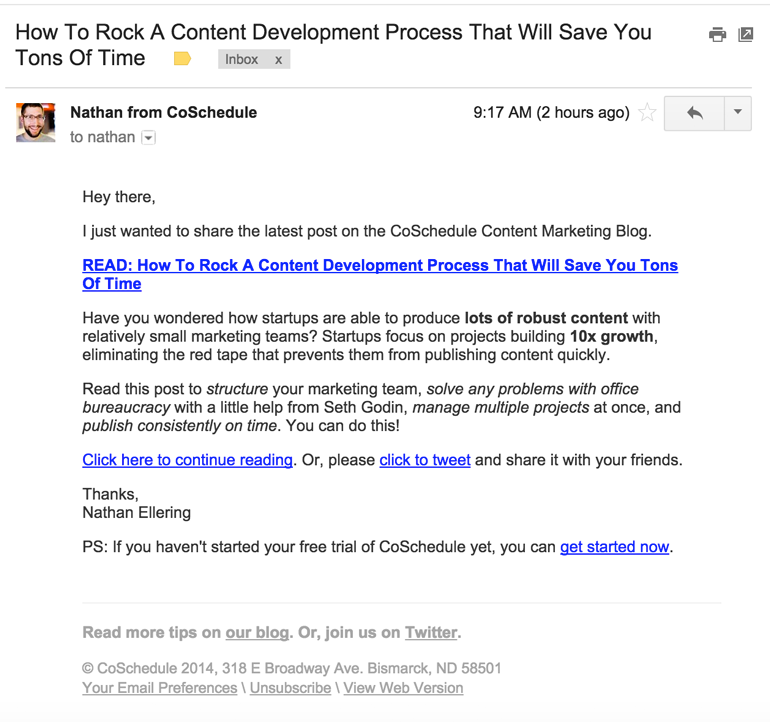 Find a way to tweak the content to work in a link to your new post. Not only will this drive some traffic to the newest content, but you’re building on your internal link structure to establish relevancy. You’re also keeping that old content updated, which boosts its freshness score and keeps it from growing out of date. Your analytics can tell you which of your posts gets the most traffic, and you can use tools like Buzzsumo and Social Crawlytics to see which of your posts get the most social shares and engagement. You could drown in the sea of apps and plugins designed to make it easy to share website content like blogs. I’ve tried dozens and found most to be clunky and even unusable on some platforms. The one that consistently performs, in my opinion, is SumoMe’s share app. It’s completely free and I’ve always loved it’s free-floating position off to the side that seems to attract the user’s attention. It’s practically telling you that you must share this content. 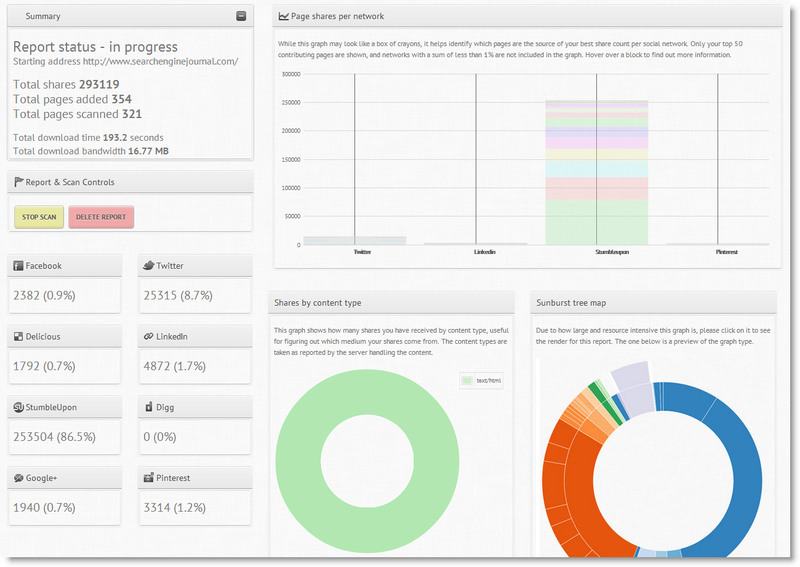 It’s also responsive so it will fit comfortably in just about any interface without messing with the user experience. Sharing is the heart of promotion, and you need to make it super easy for your audience to share the content with their preferred social network. 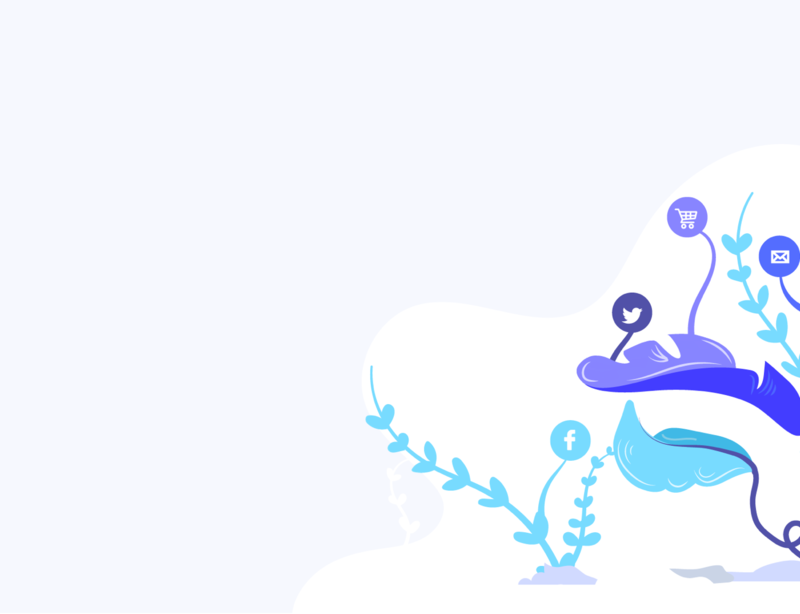 SumoMe’s app is perfect for that, and it’s one of the most popular share apps for major publisher sites like Social Media Examiner, Buffer, Content Marketing Institute as well as news sites around the web. Buzz Bundle is a terrific tool for finding the people who are talking about and sharing content related to any topic. When you plug in a search query in Buzz Bundle, you get a feed complete with conversations and posts in blogs, social networks, forums and even Q&A sites. The free version only gives you access to about 30% of the content feeds, but that’s more than enough to do a little promotion for your newest content. Just choose the post or conversation and dive in to start engaging. The ideal people to target are the ones who are specifically looking for answers or content around your topic. It’s easy to engage these people and provide your content as a source for answers. Since they’re already asking, it’s not seen as spammy. There’s the added benefit of the user finding your outreach valuable, with that value being transferred to your content. They’re more likely to engage and share it with their network while singing your praises. Bonus: If you find a similar “competing” piece of content being heavily discussed in social channels, reach out to those users. Let them know if they enjoyed that content they might also enjoy the comprehensive piece you’ve created, then link your new content. You should never promote a piece of content just once in your social channels. You miss a lot of opportunities if you’re only sharing the content when it’s published. Ask a question with the answer available in the link. Share random facts, statements and data from the post with a link. Mention an influencer in the post and link back. 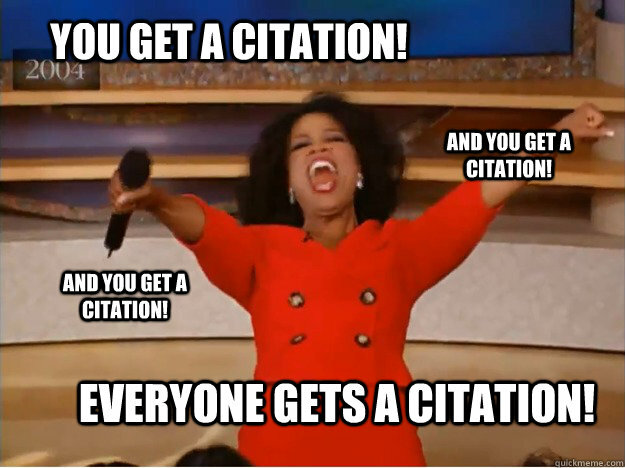 Make a bold statement that relates to the topic and link to it. For any piece of long form content, you should easily be able to create up to two dozen snippets that you can leverage for social promotion. I recommend using a tool like Buffer to schedule all the posts at once so you don’t need to load them manually across all your social channels. Want to know who is most likely to share your content? The people who have already shared similar content in the past. If you use Buzzsumo, you can search for specific topics to get a list of the most relevant, most shared content related to that topic. From there, flip over to the users and you can find out who shared it. This is a great way to find active people in your niche along with influencers. Find the sharers with the largest networks. Choose the ones you feel are most likely to engage with and share your content, and set up an outreach campaign to connect. You can do it manually, which I’d recommend for a good personalized engagement. 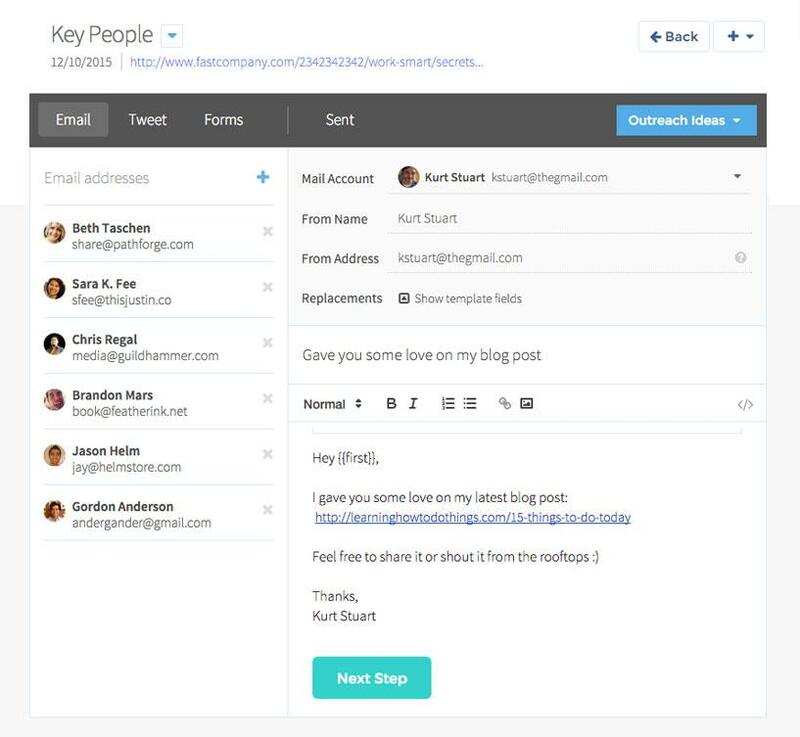 Or, try using a tool like ContentMarketer’s Connector tool to send connection emails. I know it sounds like common sense, but I’m always amazed at how many marketers don’t take the time to promote to their email list. That’s why you’ve taken the time to build an email list! Depending on how frequently you publish content, you may not want to send an individual email with each new post to avoid spamming your subscribers. For high volume publishing, setup a newsletter that acts like a roundup of your recent content sent at the end or beginning of the week. If you post once a week, fire away and use your email to let them know about your new content. Remember, you’re building a list to market to your audience. But to get them to convert you have to nurture those leads. Sharing your content, without trying to promote anything, is straight value and is the best way to build that relationship. Bonus: If you have an awesome piece of high value content, you don’t have to promote it right away. Set it up in your autoresponder so it’s delivered to your new sign-ups as a means to hook them and keep them engaged in your list. With every email you send, you know that you’re not reaching everyone. Your open rates tell you that much. If your open rate sits somewhere between 25-50%, then that means half your list or more aren’t seeing your posts when you promote them. There’s a lot of reasons: maybe the subject line didn’t attract them, they forgot to open it, it wound up caught in a spam filter, it’s buried in their inbox, etc. Create a segmented list of the people who didn’t open your first email, or setup a “non-open” campaign. Send the notification email again, just change the subject line. That’s it. You should see similar opens that align with your usual open rates, resulting in greater reach for your new content. All it takes is a few minutes of your time. This is a favorite tactic of mine for getting huge reach and promotion out of a new post. A smart way to boost credibility and authority of your content is to link to and quote influencers and other experts who share your perspective. It borrows their authority to cement your own with your audience. And it can also be used to promote your content. When your content is live, reach out to those influencers and let them know they were featured in your content. You can do it manually, but it can be time consuming if you created a sizable roundup or quoted numerous sources. Try automating it with a tool like Sujan Patel’s Notifier application; I love the way this app scans your content for names and twitter handles, then automatically sets up a Tweet to each person. Forums might seem a little old fashioned, but there are plenty of forum communities still going strong. Like LinkedIn groups, these can be isolated to specific niche markets within an industry, topically focused or broader to cover an entire industry or interest group. Like other groups, you should take the same approach of engaging the community and becoming an active member before posting a lot of content links. Long time members rarely appreciate spam posts, but they’ll welcome you (and the content you’re sharing) if you make an effort to grow the community and provide value. 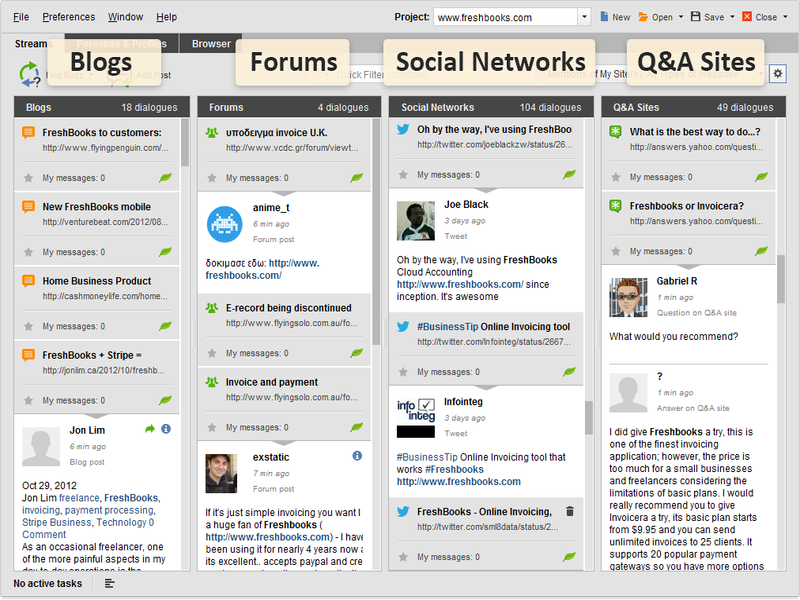 That should give you enough variety to find several forums within your niche. LinkedIn groups can be a way of generate a ton of traffic to a new post as well as expanding reach. The variety in groups is expansive, with some that are specific to an industry and many more that get very specific, such as groups devoted to link building, growing email lists, digital sales, improving ecommerce conversions, flipping homes in real estate, and more. The key to getting big numbers out of LinkedIn groups is to find the hyper-targeted groups that have a decent member count and are active – meaning people are engaging posts, leaving comments, posting discussions. You’ll get less play out of groups that are just groups of people sharing their own links. 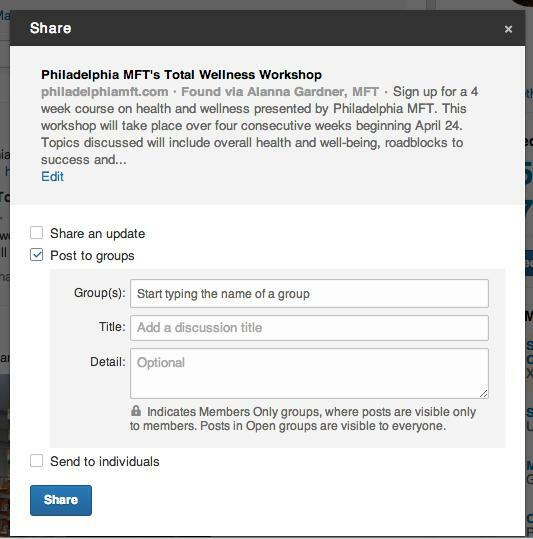 From the search bar in LinkedIn, simply enter a keyword or phrase relevant to your content topic and search for groups. You’ll get back a list of relevant groups along with their member counts. As a general rule, you should avoid just spamming groups with your links. When you join a group, try to engage with others and join the discussions. This will help you stand out as someone interested in providing value to the group and you’ll gain some authority among the group. Bonus: If you and an influencer you want to connect with are in the same group, you can send them a connection to try and start up a new relationship. 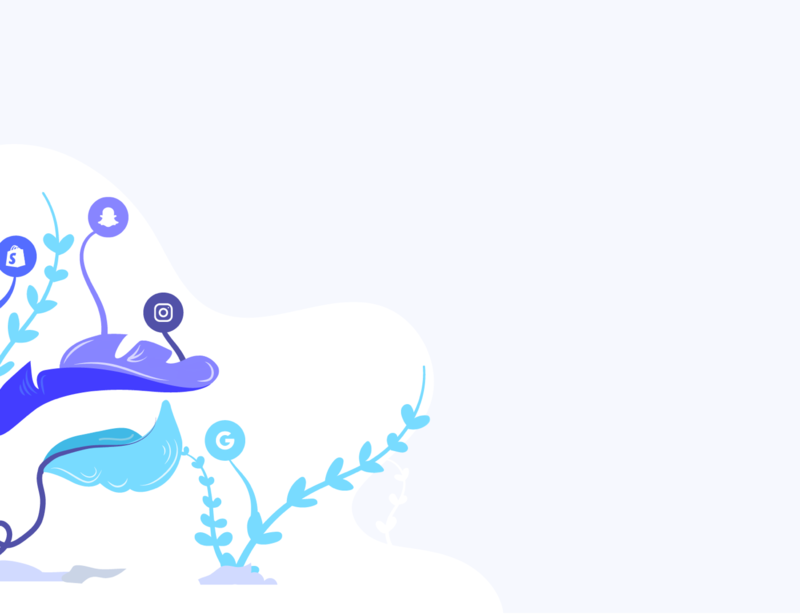 If you’ve posted your content to the group, send the influencer a connection request and customize the message to let them know about the new content, ask them to check it out when they have the chance, and invite them to connect with you in hopes of hearing their thoughts. If you’re promoting your content across your social channels (and you should be), make sure you pin your newest content to the top of your feed. A portion of your audience, as well as new followers and prospects checking your feed will always see your pinned post first. For high volume publishing, you may not want to keep cycling out new content that’s pinned. In this case, take the best of your newest content and pin that instead. This way you’re making the best use of that featured space to maximize traffic to your site. To get the most play out of content when you share it, you want to make sure it’s being promoted when your audience is most likely to be paying attention. This can vary somewhat by social network according to Buffer, but it tends to stay fairly close in many audiences. 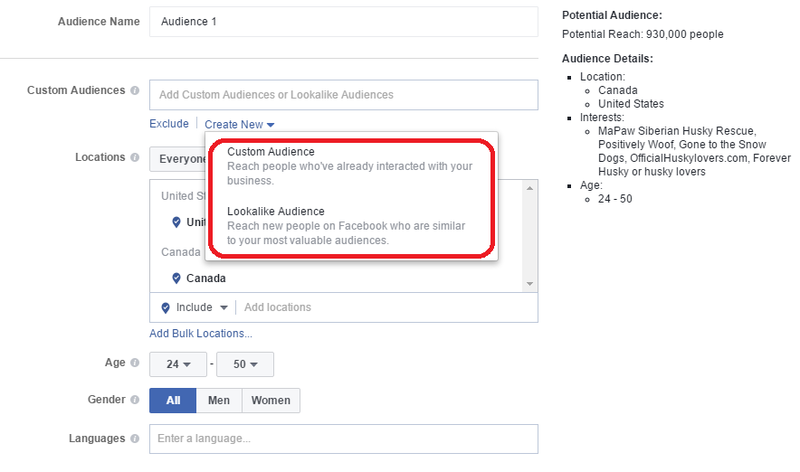 For your specific audience, check your social insights on Facebook. If you’ve built up an audience and you regularly promote content, your insights will show you when they’re most active and the post engagement is the highest. Promote your content within this window for the highest chance of being seen. Another approach is to post your content in the late evening or early morning hours. Since most brands aren’t likely promoting in this window, and user activity drops, you’re not competing as heavily for space in the feed of your followers. You’ll capture a good burst of engagement when you publish it, and when the rest of your followers begin to jump on in the morning it’s more likely to appear in their feed due to the engagement after hours. Scoop It is used for content curation and can help you kill two birds with one stone: promoting your new content and building backlinks. It’s similar to social bookmarking sites, as people gather their favorite content and publish it into a format that resembles an online magazine. If you’ve heard of Flipboard, it’s a similar concept to that. People who actively use Scoop It promote the content they find and share, often through multiple social channels, and catch a fair amount of traffic. 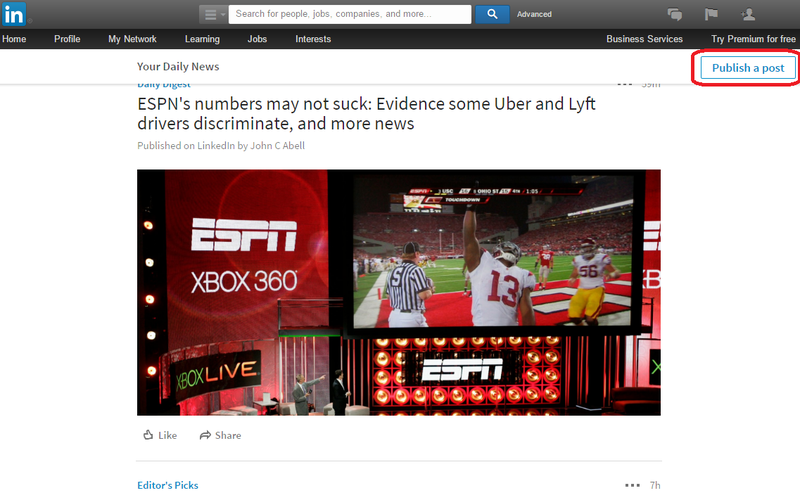 To benefit from this, you can search through Scoop It to find users who Scoop and share content like yours. Once you’ve located them, give them a follow and start suggesting. 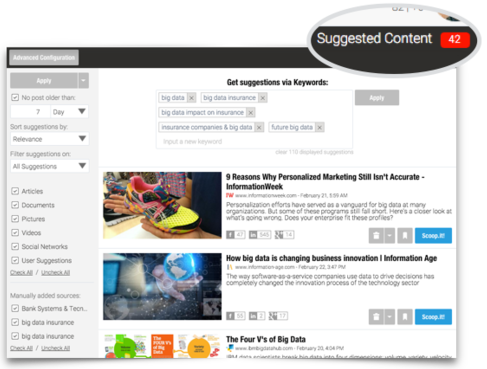 Take your recently created content and click “suggest” on their Scoop It page. Provide the link and send it off. 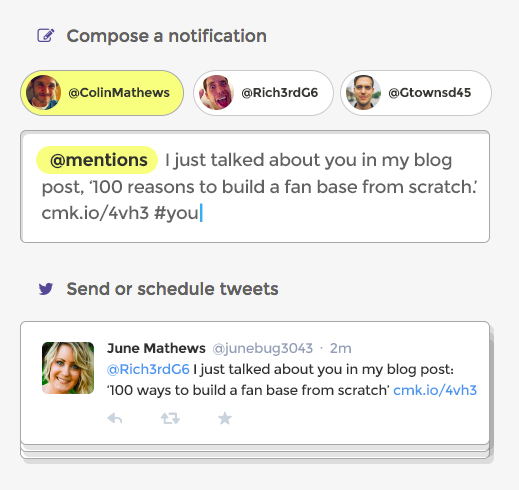 The user will get a notification you’ve suggested a topic they might like. If they add it to their Scoop It collection you’ll score that backlink, and a boost in referral traffic as they share their recent finds. Since this deals with more direct engagement, be sure to start engaging the most active users in your market. Take the same approach you would with influencer marketing to build a relationship. This will give you a resource to turn to in the future with other content you want to promote. This is a great tactic I like to use to build up posts that I’ve previously published. If you’re already guest posting then you can work this strategy into your existing efforts. When you guest post on authority sites in your niche, include a link within the post back to the content you want to promote in your blog. To avoid looking forced, try to link to your content in citation of relevant data and to expand on an idea where you can’t go into explicit detail in the guest post. Your guest post pulls from the site’s authority to help your site content rank for targeted search terms, while at the same funneling relevant traffic to the post on your site you’re trying to promote. Poaching links might sound bad, but it’s really just clever organic link acquisition. There’s a few ways you can poach links to drive traffic and promote your latest or best content. The first involves looking for broken links you can grab. Do a search for content or resource lists relating to the topic of your content. Aim for long form and high value content. Use a link checker tool to find broken links you can leverage. 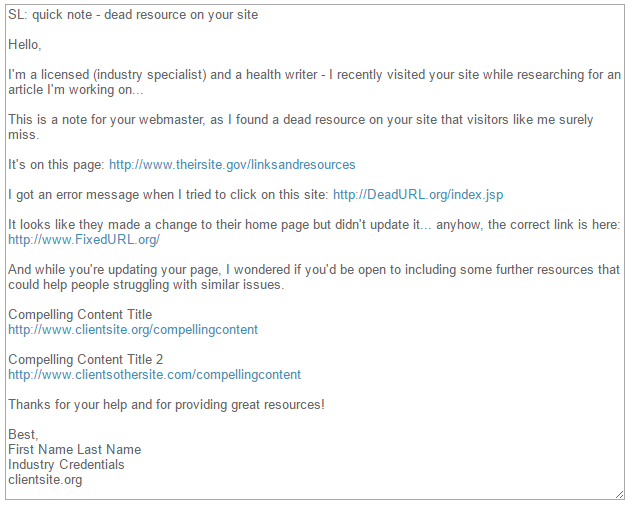 If you find a broken link, notify the content author to point it out. Mention your article with a link, and ask them to consider replacing the current link with your content rather than removing the link. Moz has a basic template example that you could customize for outreach in the above method. The other is a similar approach, but instead of looking for broken links your goal is to replace a current resource with one that’s better – yours. Or at the very least get your content linked as well. Search in Google to find topics and articles similar to the one you’ve created. Use a backlink tool like Ahrefs to check the links pointing to the content. Reach out to those site owners and let them know you’ve created content that’s more comprehensive than the one they’ve linked to. Provide a link to your content and ask them if they would consider adding it to the article. Reddit is a fickle beast, and many a marketer has caught the wrath of community users who tend to detest being marketed to. They love great content in the various subreddits for niche industries, but they prefer having that content show up organically rather than being pushed by the content author. You can search Reddit for subreddits, or pocket communities, that match your niche either within Reddit using its own internal search function or through Google by typing “Reddit” and then typing a keyword relevant to your content, or industry. When you find a subreddit to post into, take a moment to find and read their submission guidelines. You don’t want to self-promote if it’s not permitted. Those tight-knit communities tend to have a good memory, and if you try to skirt the rules they’re not likely to forget. You can choose between text posts and link submissions in most subreddits. Dropping a link with just a title isn’t recommended. A better approach is to submit a text post with most or all of the content from your post. Include a link at the end to the original article to drive that traffic back to the original post. While free promotion is the best kind of exposure you can get, a little paid promotion can go a long way toward getting your content in front of new audiences as quickly as possible. People who already like your page and their friends. An existing custom audience you’ve already created and used. An audience made up of people from your Facebook pixel, retargeting people who already engage with you. An audience made up of a data file you uploaded. An audience made up of contacts from your mail platform, like MailChimp. Once you choose an audience you’ll have the chance to further customize it. Make sure it fits the people who are most likely to click on and engage with the content you’ve created. From there, create an ad to promote your content. You can take the same approach with a custom audience if you share your content on Facebook and then try to boost the post to get it in front of a larger audience. Outbrain is another advertising platform, so there’s pay involved, but it specifically promotes content like the articles you’ve written. Like Facebook, you can set specific criteria for your audience to improve when the content shows up. Again, it is a paid advertising service, but because of the nature of the ads focusing on content the cost per click is much lower than traditional PPC advertising. There is a laundry list of blog aggregators you can use to promote your connect and generate referral traffic. 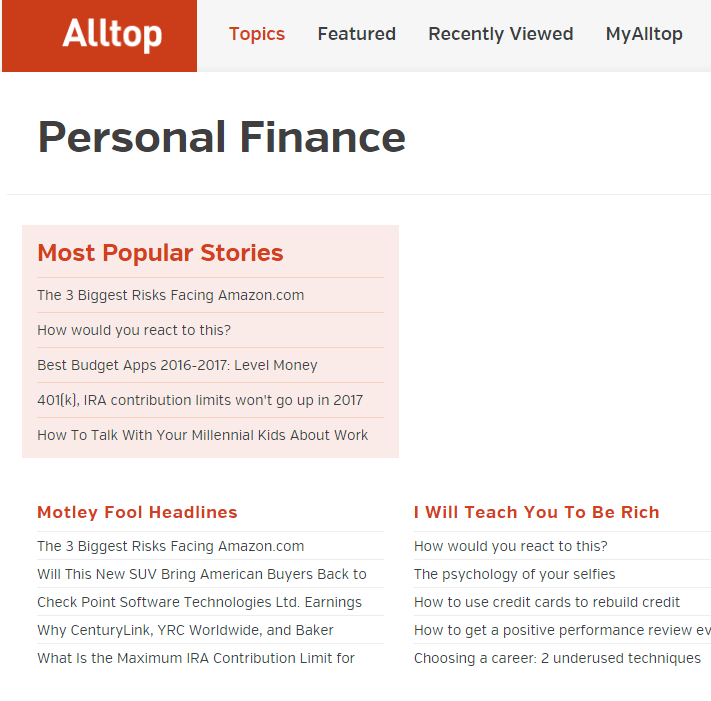 AllTop is one of the most well-known, along with Technorati and Blogarama. These aggregators take the feed from your site and collect them into a simple list, often segmented by industry, category, or topic to make them easy for readers to find. 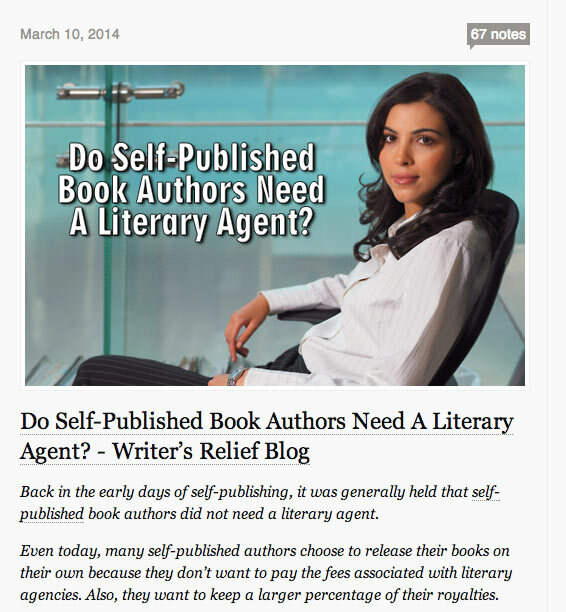 Referral traffic aside, blog aggregators are a great way to build links. Since other marketers often use services like AllTop to research topics and find content to cite or include in roundups, there’s always the chance that 10x content you create will be plucked from an aggregator and used elsewhere with a link back to the original source – your site. A quick way to expand the reach of your newest content is to quickly repurpose it into several different formats. This lets you put it in front of audience segments that may not have otherwise seen it. Factoids in image captions for social channels like Instagram. Short videos for social, or longer videos for YouTube. Talking points for a micro podcast. Wherever you repurpose the content, always link back to the original post for link building potential and to drive traffic back to your site. While people typically warn against creating duplicate content, there are a few ways to replicate your content on the web and publish on other platforms without catching a penalty. I won’t list all the platforms, but the ones I prefer are Medium and LinkedIn Pulse. When using these platforms, I generally post the entire content piece, then include a link to the original article with a call to action. I’ve seen others use a CTA to join a list, get a free offer, etc. A direct CTA to check out the original post and similar topics can also be sufficient. One of the reasons I love Sniply is that you can use authoritative content from other influencers to help promote your own site and drive targeted traffic to you. Best of all, it provides visibility for the original author as well as you, so it’s a win on both sides and could potentially open relationships with influencers. Sniply even includes analytics, so you can track how many people have clicked on your Sniply link, as well as how many clicks on the call to action button that took them to your site. StumbleUpon is a popular service that lets users pull up random sites that others have submitted to the network. It works like a social bookmarking site but without traditional browsing. When people find content they like, they can like or upvote that content. This influences the algorithm so people see more of what’s popular. You can categorize the content you submit so it’s more likely to appear for people of a certain audience. While it may not generate huge traffic, it’s one more source of referral traffic that can send traffic to your site and increase brand exposure. If you don’t mind a little paid promotion for your best content, try submitting to StumbleUpon’s paid discover service. You pay for each site visitor, and your content is more likely to show for a designated audience. 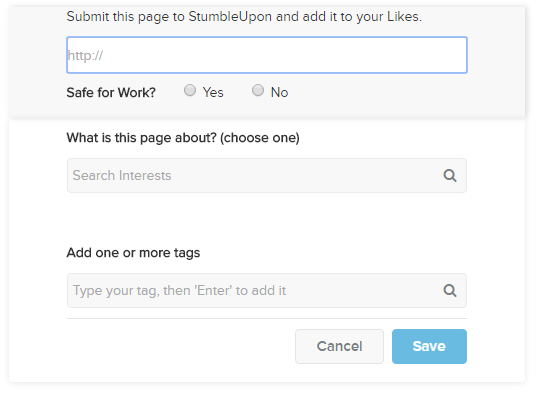 Just keep in mind that users of StumbleUpon can be picky, and they often make quick decisions to stick around or move on to the next random site. This is where it can pay off to have a super-catchy headline and great visuals that capture the audience’s attention. Tumblr has a pretty diverse audience, just like any social network. It’s also a great place to promote your content. Visual content tends to do best on Tumblr, so promote your content around really great hero images or featured images that can hook the audience. When you share content to Tumblr, be sure to include a link to the original post with your update. Position that link as a call to action. When you share content, the first paragraph or two is also visible, so be sure to get a relevant link back to your site somewhere in there if you can. That way the link is visible to everyone who shares that Tumblr posts and everyone in their network. Use relevant keywords in your headline, subheadings and in the body of your content. Try to position your primary phrase near the top of your content, near the beginning of the first paragraph. Setup outbound links that help establish relevancy for your content. Use good formatting: H tags, images, fill out alt and title tags of images. 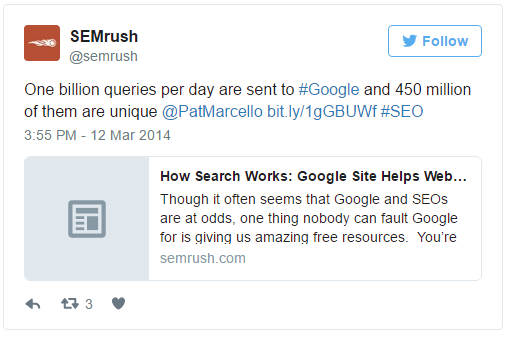 For more detail, check out Moz’s complete guide to optimizing blog posts for organic search. 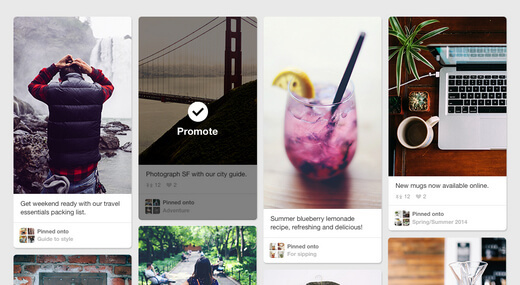 Pinterest is still widely underused by bloggers. Set up a business account so you can utilize the analytics available from Pinterest on your pins. Once your account is setup you can start posting rich pins, and pinning featured images from your content with links back to the original. Promoting with Pinterest is a great way to drive relevant traffic back to your site, especially once your audience starts to repin and share your pins. 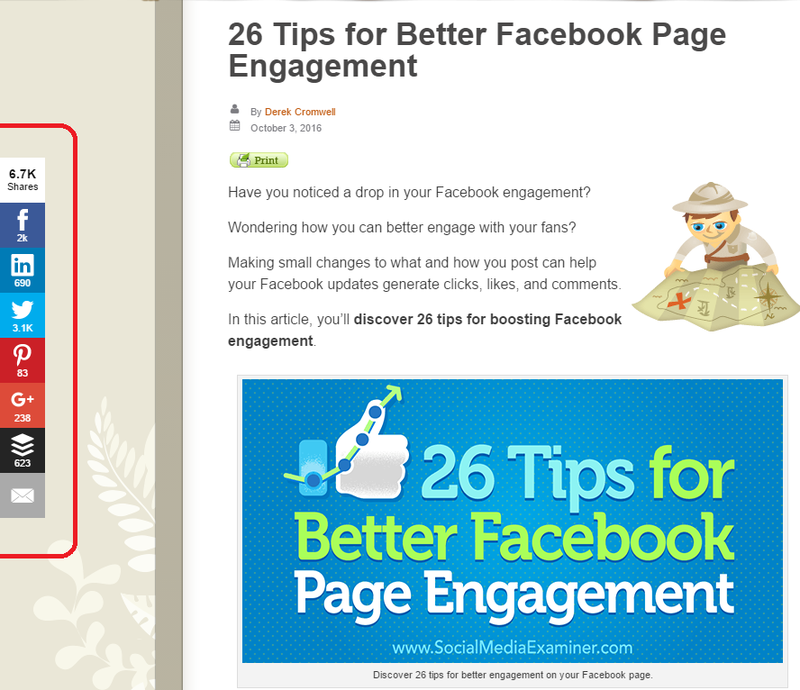 Be sure to set Pinterest up in your share plugin so your readers can easily pin your content and share it. There are several sites out there built specifically to share content with communities. For example, sites like Inbound.org and Growth Hackers are great content communities for the marketing niche. Just like any community, you can get a lot of traffic from these places, but you have to take a careful approach to community engagement. That means you can’t just drop links and run. The communities want the best of the best content, so share your best stuff – not necessarily everything you create. You also need to go beyond self-promotion and try to be active. Share content from other people, comment on the content posted by others, and vote on submissions. 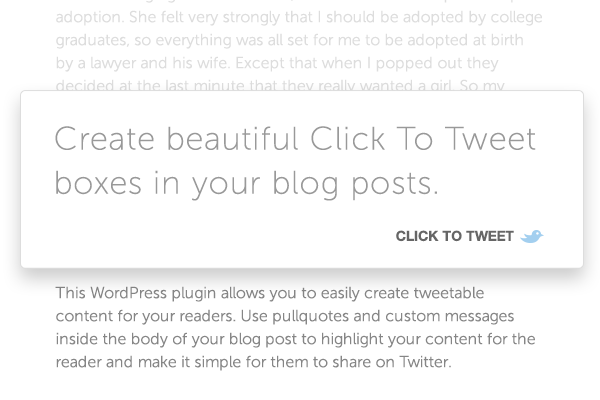 The Click to Tweet plugin is a great addition that every blog should have to help with making content more shareable. You can generate shareable snippets from your post, then include them as premade tweetable cuts of content. Your readers can simply click to share that statement, quote, or factoid with their followers on Twitter. Writing is just a very small portion of a complex machine that’s mostly promotion and distribution once your content goes live. The most successful content marketers map out a detailed strategy for each post, using a simple formula to move from one promotion tactic to another. To get the most out of your next piece of content, expand your strategy to include these content promotion tactics.